I'm working on adding several outdoor outlets in the eaves of my roof for holiday lighting. I have a switch in my garage for these outlets right next to the garage light switch. Thing is, I keep flipping the switch for the holiday lights instead of the garage light switch when I want the garage light. I was planning on adding an inline GFCI, but now I'm thinking instead of installing the inline GFCI, I could just replace the holiday lighting switch with a no-outlet-GFCI, which would function equally well as a switch (using the test and reset buttons), but harder to unintentionally trigger, and provide the necessary short protection. The only thing I'm concerned about is if the GFCI is wouldn't hold up to (admittedly) infrequent "switching" or if this would violate code somehow. I'll string my holiday lights in early November, but not turn them on until the day after thanksgiving, similarly I'll turn them off after new years, but might not take them down for a few weeks, so the switch will only get used a few times a year. Of course the answer is no, but the NEC does not say you can't verbatim. You have to consider the intent of the code. To do that we have to look at Article 100 Definitions and what is a definition of a switch and what is the definition of a GFCI and what is the definition of a receptacle. Then you also have to reference NEC Articles 404 Switches and 406 Receptacles. The point is switches and receptacles are two separate types of devices and it never states otherwise. You might argue that "it doesn't say I can't". But you have to look at Article 404.11 Circuit Breakers as Switches. It identifies that you can use a circuit breaker as a switch if it meets certain parameters. So the "intent of the code" is that if it isn't defined in 404 that it can be used as a switch, then it can't be used as a switch. We could probably get this written into the code if we submitted it to the committee. Then it would get it written in within the next 6 to 9 years if they found it relevent. If this answer doesn't convince you then consider this question. If I have and incandescent lamp inline with some other devices can I use it as a switch by screwing and unscrewing it. The NEC doesn't say I can't. Install a timer instead. 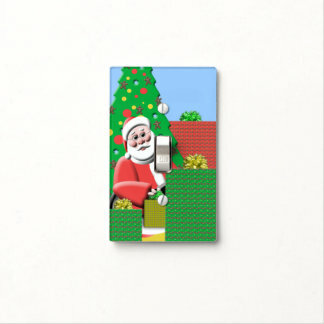 This will allow you to turn your holiday lights on/off automatically, and will also make it more difficult to turn on accidentally. To answer the question you actually asked... It's not a code violation, since code typically deals with installation, not usage. However, since the device is not designed to be operated in this way, it will likely cause it to wear out faster. There's all kinds of light switch covers you can get on Amazon that prevent you from accidentally hitting the switch, while still allowing you to use it when you need it. 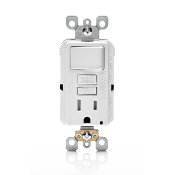 Is there harm in using a GFCI outlet as a switch? 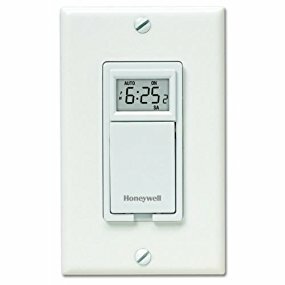 What Kind of Outlet Allows 1 In-Wall Light Switch w 2 Outlets to Control 2 Sconces w Semi-Independent On/Off Buttons & Outlets on Each?